Consult the possible onces of the first leg of the quarterfinals of the Europa League between Villarreal and Valencia that will be played at 21:00 h at the Ceramic Stadium. The derby of the Comunitat Valenciana is played in Europe. Valencia and Villarreal reissue their European derby of 2004 but now, in the quarterfinals of the Europa League. Both groguets and valencianists arrive at a different time in the league. Marcelino's fight to play again in Europe next season while the Calleja fight for not going down to Second and maintain the category while showing their best in the Europa League. Eleven of Villarreal: Andrés Fernández, Mario Gaspar, Álvaro , Victor Ruiz, Quintillà, Cáseres, Fornals, Cazorla, Iborra, Bacca and Gerard Moreno. Andrés Fernández: He is the goalkeeper of Europa and Copa; He has gone from less to more and has been very short of reaching the best record without receiving a goal in Europe. Experience and reflexes Mario: It's not being his best year, he's being irregular and suffers in defense. He has no substitute, so there is no rest for him. Alvaro: It is the most regular defenses. Aggressive and strong in the brand. The three line back helps you and allows you to be more liberated. He suffers with the ball and sometimes it is too fast. Víctor Ruiz: He is the oldest defender and the reference. Good ball output. Suffers with space on his back, as the rest of the defense has been suffering a lot this season. Quintillà: Arrives from the branch team. Lateral quality and arrival, more offensive than defensive. A glove on his left foot and a stopped ball. Cáseres: An Argentinean five. Strong in the cut and physical deployment. Good handling with the ball, but it has no depth. It comes being substitute, since Morlanes has won him the position. Cazorla: Emblem of this Villarreal. With the injury surpassed, the Asturian exerts of motor in the center of the field. It distributes, it is associated, it is important to set pieces. Responsibility under his shoulders. Fornals: He was one of the referents of the team, but now he is a substitute. All-around with arrival, but this season is not fine. It lacks tranquility, although it has enough quality to exploit at any time. Iborra: Referent in the middle. His size makes him key in the defensive game. Up acts as a link with the strikers, a position that makes it very dangerous. Chukwueze: Electric, as he showed before Barcelona. Encara, is fast, an ace in the dribble ... Every time he receives the ball, threat of danger. On the counterattack, lethal. A good match to look. Gerard Moreno: The signing star is starting this Thursday. Although he comes from injury and seemed to be much better, this may be the match he and the fans are waiting for. Neto: Marcelino does not rotate under sticks in Europe. There he plays Neto, holder in League. It is also given the fact that Jaume is on sick leave. Roncaglia: It is the main novelty of Marcelino's eleven. Arrived in the winter market, the center has been able to adapt quickly and is already a fundamental player. Correct, strong by high and intelligent in the positioning. Garay: He did not play a single minute against Rayo, so the presence of the Argentine in the back line must be taken for granted. Garay gives security behind in the vicinity of Neto. Gabriel Paulista: Return to what was his home for a while. The Brazilian is a basic pillar for Marcelino and it should be remembered that he did not play against Real Madrid a week ago due to illness, so he arrives without an excessive load of games. Gayà: One of the few footballers in the squad who can assure that they have a starter sign. And indisputable. Lato has not even entered the call. Guedes: Marcelino is giving more and more prominence to the Portuguese, who game by game feels more confident and turning the page of the injury that made him go through the operating room. 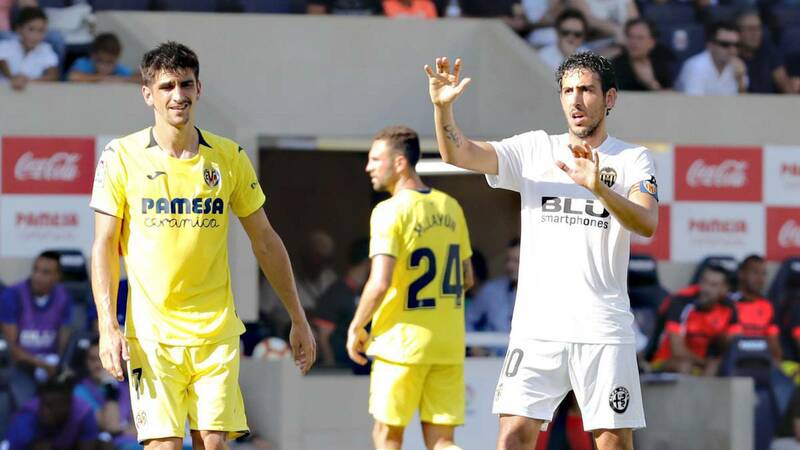 Parejo: Brain and leader of Valencia. His substitution is not conceived except for injury or sanction. Parejo: Captain and operations commander in the midfield. Valencia's football goes through their boots ... And also the goal. Playing one of the best seasons of his career, he is the leader of the team. Wass: Marcelino bets on Danish as a wild card in midfield. Coquelin, who was not one hundred percent, remains on the bench to give entrance to a sacrificed midfielder, correct in the recovery and barely makes mistakes. Ferrán Torres: The canterano, who was already a starter at the Estadio de la Cerámica in the League match, will occupy the right lane (except that Marceldo not opt for Wass). It should be remembered that Carlos Soler is down by sanction. Rodrigo Moreno: Lately he is not entering the rotations and comes from playing also with Spain. Only for that reason could he leave his post to Mina, although a priori Rodrigo will play. Gameiro: He was a substitute against Rayo and nothing suggests he will not play against Villarreal.